First you cut the shape of the leave you desire. (You can use a cookie cutter for that, I don’t see why not.). 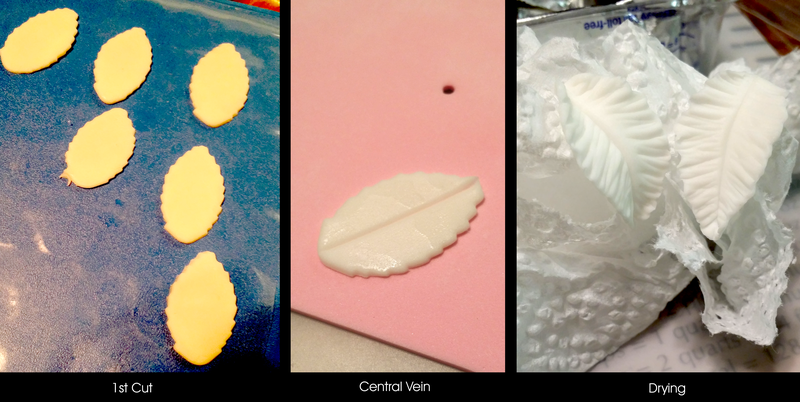 Then with your vein tool (the thinner side), mark the center and cover all the sides with veins. In order to give them some shape, rip some tissue paper and lay them on top of it until they are completly dry.